As Optometrists, we know that regular eye health evaluations are essential for preserving our sight and health. During an eye exam, vital systemic health information is gained by viewing the interior of the eye and adjacent cardiovascular tissue. The eye can develop harmful diseases, which in many cases may have little or no symptoms. Chelmsford Eyecare Optometrists advises and ensures that you stay on a healthy schedule of when to have your eye exams and when to be re-examined. Don't rely on broken glasses or lost contact lenses to remind you of your next appointment. Follow the advice of our optometrists and have your eyes examined on a regular basis. Book your eye exam with one of our Optometrists today. In order to reduce the emergency room congestion, we provide emergency services to anyone that requires emergency care during our office hours. We can diagnose and manage many ocular emergencies in our office. For the remaining cases, our doctors provide full reports which can expedite your care in the case you need to visit the emergency room. We are pleased to offer laser refractive surgery consultations. We perform the clinical workup required to determine corrective laser surgery eligibility as well as post laser care. We are not exclusively affiliated with any one laser centre but deal with all reputable laser centres. We offer a wide selection of new generation contact lens brands that are clinically proven to optimize contact lens health. 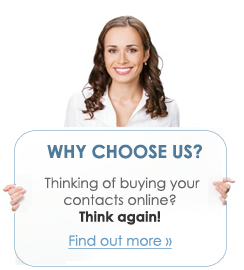 For existing contact lens wearers, we give you the opportunity to try multiple brands and modalities (e.g. 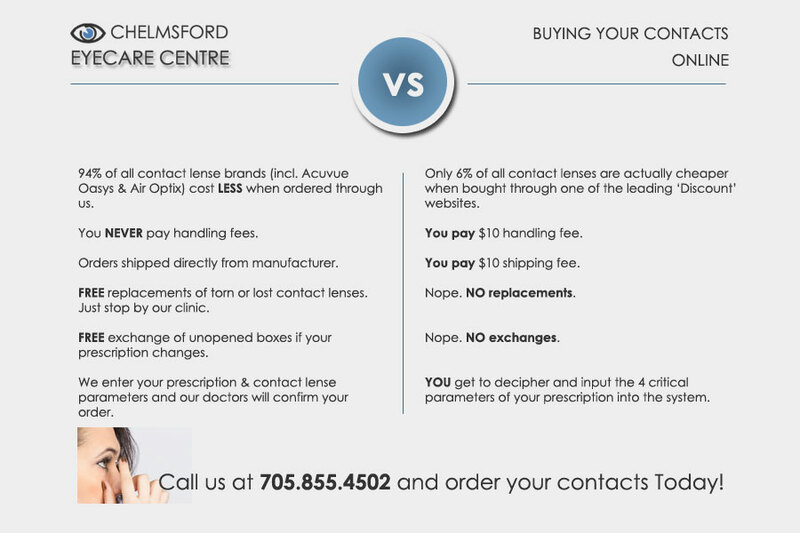 one day vs. monthly lenses) in your personal environment before purchasing.